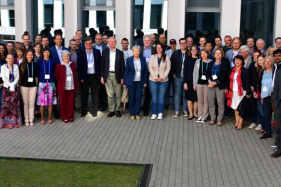 On 8 -11 May, 2018 Vilnius (Lithuania) hosted the 23rd Topical Meeting of the International Society of Electrochemistry (ISE) "Electrochemistry for Investigation of Biological Objects: from Functional Nanomaterials to Micro/Nano - Electrodes". 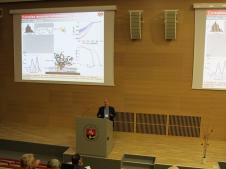 The Conference was organized by the Center for Physical Sciences and Technology (FTMC) and the Life Sciences Center of Vilnius University (VU GMC). 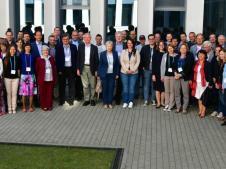 The event brought together 99 participants from 24 countries of Europe, Asia, Africa, Israel, the USA and South America. 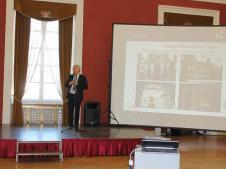 Oral presentatations were made by famous invited speakers from different world countries: prof. Plamen Atanassov from New Mexico University (USA), prof. Lo Gorton from Lund University (Sweden), prof. Ana Maria Oliveira Brett from Coimbra University (Portugal), prof. Christian Amatore from the French National Center for Scientific Research in Paris (France), prof. Jacek Lipkowski from Guelph University (Canada), prof. Jose Manuel Pingarron from Madrid University (Spain), Fred Lisdat from Technical University of Applied Sciences Wildau (Germany), prof. Orlando Fatibello-Filho from Federal San Karlos University (Brazil) and prof. Gintaras Valinčius from the Life Sciences Center of Vilnius University (Lithuania). The bid to host the meeting was submitted by the Vilnius Convention Bureau and the Centre for Physical Sciences and Technology (FTMC) in Vilnius. In competing to host the event, Lithuania was chosen over Spain and Mexico. The meeting takes place twice a year in different continents. The Opening Ceremony was held in Vilnius City Hall. The participants were welcomed by the Minister of Science and Education Jurgita Petrauskienė, the Mayor of Vilnius Remigijus Šimašius, the President of Lithuanian Academy of Sciences Jūras Banys, the former ISE President prof. Christian Amatore, the head of ISE Bioelectrochemical Department prof. Fred Lisdat and the Director of FTMC prof. Gintaras Valušis. 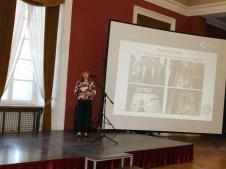 The conference was opened by the ISE representative for Lithuania prof. Rasa Pauliukaitė. The conference was held in the premises of VU GMC, 47 oral and 49 posters presentations were delivered. The representative of the Theodor von Grotthuss Fund prof. Rimantas Ramanauskas honored the former ISE Presidents with the Theodor von Grottus medals in recognition of their efforts. The fact that the Center of Physical Sciences and Technology is entrusted with the organization of an international event of this scale attests to the recognition of FTMC as a highly regarded scientific institution offering a favorable environment for world-leading research.